Published: May 3, 2016 at 12:23 p.m. Updated: May 3, 2016 at 02:34 p.m. The draft is obviously about the future, but it's also about the present. Sure, you want to invest in players who will deliver long term -- but sometimes, you just want guys who can make an immediate impact practically from the moment they step on the field. As I did last year, I've put together a list of rising rookies who will have a chance to significantly help their respective teams on Day 1. The 11 players presented below -- arranged in alphabetical order -- can provide an instant jolt to their new organizations. Also considered: Derrick Henry, RB, Tennessee Titans; Germain Ifedi, OG, Seattle Seahawks; William Jackson III, CB, Cincinnati Bengals; Karl Joseph, S, Oakland Raiders; Laremy Tunsil, OT, Miami Dolphins. Drafted in: Round 2, No. 59 overall. The most accurate kicker in NCAA history (with a .9674 combined conversion rate on field goals and extra points) is a very confident player who will solve the Buccaneers' kicking problems for a long time. He is the highest-drafted kicker since the Jets took Mike Nugent -- who, coincidentally, had a brief stint with Tampa -- in Round 2 (No. 47 overall) of the 2005 NFL Draft. Yes, the Bucs traded up to get Aguayo, but he really only has to win one game to make that investment worth it. 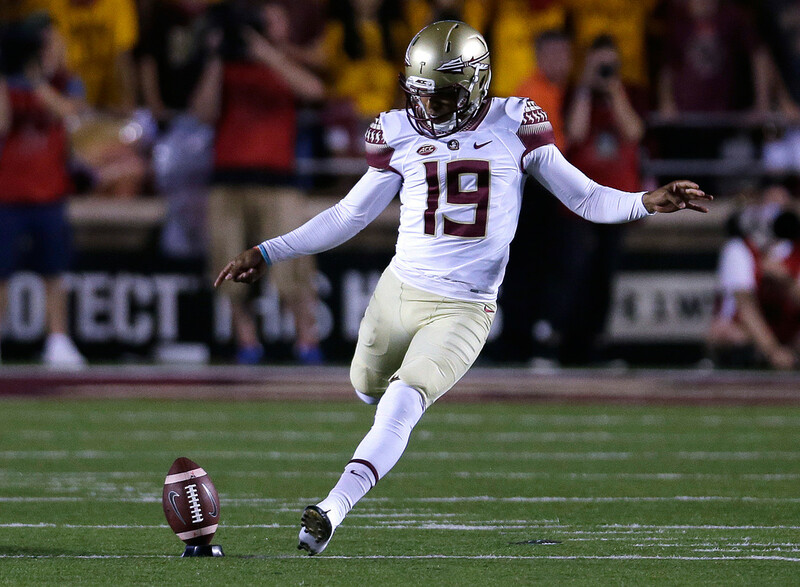 Aguayo doesn't have a Sebastian Janikowski-type leg, but kickers have a tendency to get stronger with age. The Browns will use Coleman in the same way that the Bengals use A.J. Green. He has the speed (4.37-second 40-yard dash) to create separation. He has all the traits needed to succeed; he's tough, competitive and is very good running after the catch, especially on screen plays. He also can track the ball very well on over-the-shoulder catches. He had his share of drops in college, but that can be corrected if he learns to catch with his hands instead of his chest. He has to work on route-running, given the limited route-tree he had at Baylor. The bottom line is, this is the kind of guy the Cleveland fan is looking for, and I expect him to flourish and produce a lot of big plays. To me, Elliott is the most complete back to enter the NFL in 10 years. I'm not saying he's better than Adrian Peterson or Todd Gurley, necessarily, but Elliott has a more well-rounded skill set, in that he can catch better than Peterson and has a slight edge on Gurley in blocking and catching. He can do everything well, and he's good at picking up blitzers. Unlike Gurley, who had the Rams' backfield to himself in 2015, Elliott is set to share carries with Darren McFadden and Alfred Morris; even so, I'd expect a debut season out of Elliott that is similar to what Gurley accomplished last year, complete with the Offensive Rookie of the Year award. He'll help close out those tight, high-scoring games. Drafted in: Round 4, No. 119 overall. The Texans run a very creative offense, and I expect Ervin to be a factor on screens and draws out of the backfield. Quickness is very important in that role, and he has an explosive first step. The all-time leader at San Jose State in all-purpose yards, Ervin can also return punts and kickoffs; he'll be a threat to score whenever he touches the ball. As a smaller guy, Ervin probably wouldn't hold up well with a full-time workload, but if he can get in on 45 plays per game as a complement to Lamar Miller, he should contribute something like 800 yards. He'll really create problems for Houston's opponents. Drafted in: Round 1, No. 28 overall. The Niners moved up into the first round to get Garnett, which is not something you do for a guard unless you see something special. But I think that's exactly what Garnett will prove to be as a run-blocker in Chip Kelly's system. Kelly loves to run the ball, and Garnett is one of the best run-blocking prospects out there. Kelly knows him from his Oregon days -- in fact, he tried to recruit the kid. He's athletic, powerful in short-yardage situations and strong. He can pull and lead if asked to. Garnett should start in Week 1 and be a very effective component in the ground game, which definitely will be stronger with him in it. Drafted in: Round 6, No. 177 overall. OK, so unlike most of the others on this list, Hemingway has plenty of mountains to climb before getting on the field, including fellow draftee Tyler Higbee. But he boasts outstanding athletic ability and tons of upside, and I think he has a real chance to make some plays for Los Angeles. Small-school guys like Hemingway tend to be underdeveloped for a variety of reasons, such as a comparative lack of resources and weight facilities and a lack of instruction -- South Carolina State, for example, doesn't have a tight ends coach on staff. Thus, there conceivably would be plenty of untapped potential still left in Hemingway as a player. Drafted in: Round 1, No. 18 overall. Remember Jeff Saturday and Peyton Manning's fruitful partnership in Indy? Kelly will be Andrew Luck's Jeff Saturday. Kelly should be the starter for the next 10 years for the Colts, who seriously needed O-line help. Kelly is very strong, smart and quick, and he can also play guard if needed. His quickness enables him to get his hands on defensive linemen and steer them. He'll keep Luck from getting sacked -- and when Luck takes off with the ball, Kelly will get downfield fast enough to block someone. He's also an outstanding leader. If the people who vote for the award paid attention to offensive-line play, Kelly could be a serious Offensive Rookie of the Year candidate. Drafted in: Round 3, No. 85 overall. Houston had a pretty good draft, as evidenced by the two Texans players on this list. Given how new the former QB is to the position, Miller still needs to work on his route-running, but he's a big guy (6-1, 201 pounds) who has the speed to separate quickly. I think he'll become Houston's second receiver and really be a huge help to DeAndre Hopkins, because opponents will have to respect what he brings to the field. He's very competitive and can be used in the return game and as a running back in special situations. I expect him to outperform first-round pick Will Fuller, as Fuller relies more on straight-line speed, while Miller can make tacklers miss when he has the ball -- and he has the speed to take it to the house. Drafted in: Round 1, No. 17 overall. Think Kam Chancellor, only faster. Neal is very tough and very strong, and he's a perfect fit for the Atlanta defense. I think he'll be one of those guys who makes some defensive calls back there and makes the Falcons' back seven a lot better than it was last year. Opposing receivers will think twice about coming across the middle. Atlanta coach Dan Quinn recruited Neal to Florida when Quinn was on staff there. Neal should also be a very good special teams contributor. Drafted in: Round 2, No. 41 overall. Ragland has a lot of the same physical qualities as David Harris, who played extremely well for Rex Ryan when Ryan was with the Jets. I expect Ragland to fill the Harris role under Ryan in Buffalo. The SEC Defensive Player of the Year had 102 tackles and seven pass breakups in 2015. The latter stat is important, because one of the things you worry about with someone who has Ragland's 4.72 speed is the ability to cover tight ends and running backs -- but that was something Ragland clearly was able to do in college. He has very good instincts and strength, and he's an outstanding tackler. When he gets to 'em, they go down. He's also a great character person. I expect him to rack up 100-plus tackles and help improve Buffalo's defense in a major way. Drafted in: Round 1, No. 23 overall. He's a strong, Michael Irvin-type receiver who plays faster than his timed speed of 4.63 seconds. He's very tough and competitive, racking up 202 catches in 35 collegiate games. He's the type of player Vikings offensive coordinator Norv Turner loves. I expect Treadwell to excel under position coach George Stewart, who is very good at getting everything possible out of his players. The sure-handed rookie is going to make a lot of catches on quick slants to keep drives going. He also will win about 80 percent of 50-50 balls. And he'll make life easier for Adrian Peterson, thanks in no small part to his blocking abilities.